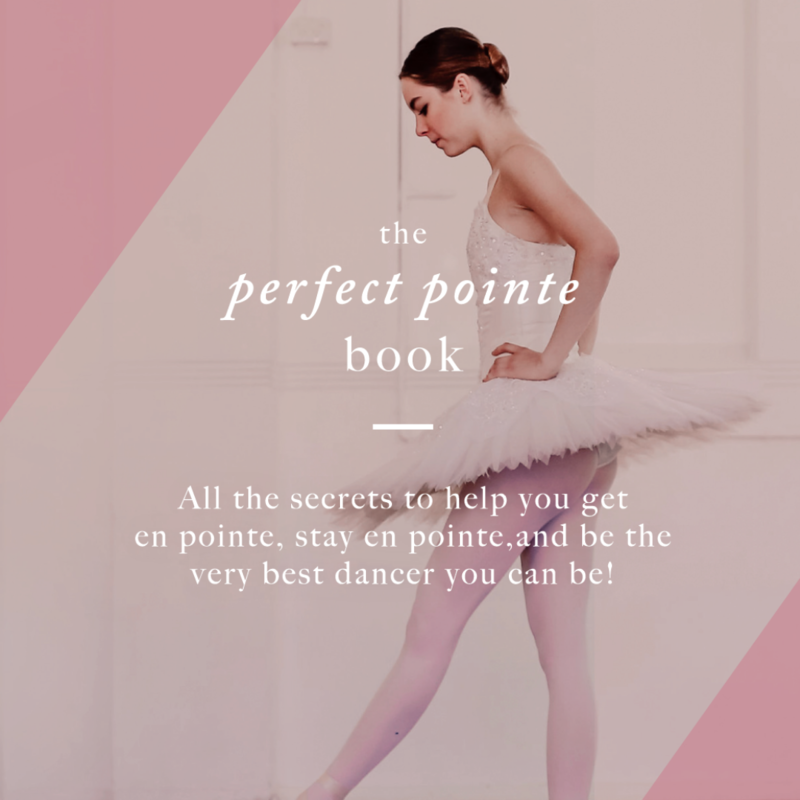 Does Pointe Work Cause Bunions? Many girls (and their mothers) are concerned of the possibility of developing unsightly and painful damage to their toes. This is a very real and valid concern! While pointe work does not cause bunions in most people, if pointe is commenced too early, or if there is a family predisposition to getting bunions (especially on your mother's side) it may increase their development. Let’s start with a little discussion on what bunions actually are. A bunion (Hallux Valgus) is an abnormal lump of bone that forms on the joint at the base of the big toe, which can become quite red and inflamed. 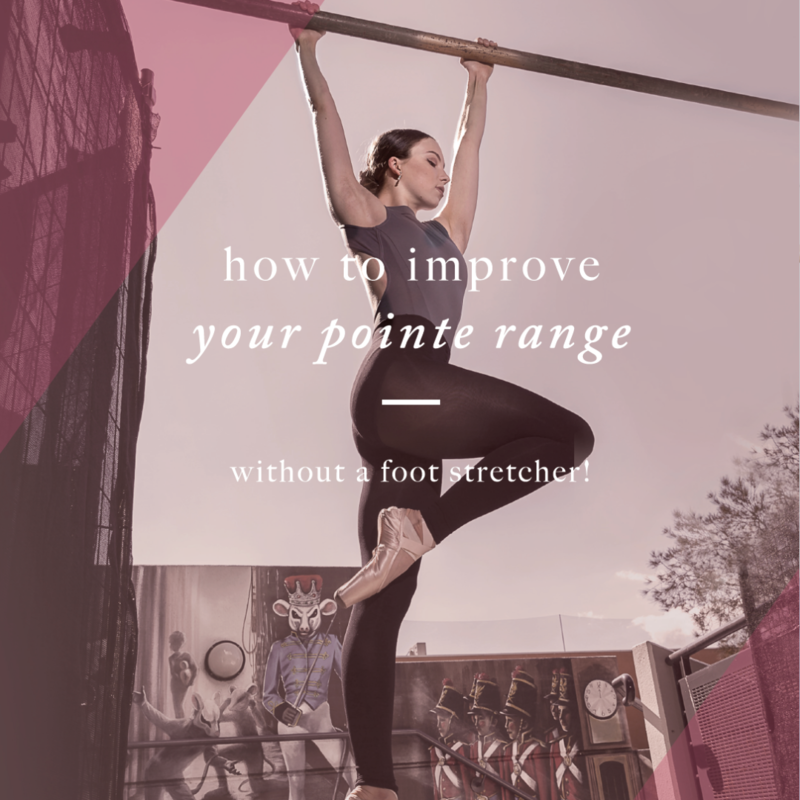 Often the range of motion in the big toe becomes restricted and even working on demi pointe is difficult. A bunion is a mal-alignment of the big toe joint, with an inwards drift of the toe and a large bony 1st toe joint so the toes no longer looks straight. While most people think that the problem is the big toe drifting in, often the problem starts when the first metatarsal (the major foot bone that attaches to the big toe) starts to angle away from the foot. The foot is made up of many small bones that sit perfectly together forming many joints. The big toe joint comprises of the first metatarsal and the proximal (close) phalanx of the toe. A bunion forms when base of the toe (first metatarsal) drifts away from the second metatarsal. The 1st metatarsal rotates and drops and so no longer sits in its correct alignment. The tip of the first toe then rotates and drifts inwards. Overtime, under the continuing stress of this altered position of the joint and the irritation that this causes, the joint can become inflamed. Mobilisation of the mid foot to help re-align the toe correctly, and then taping and padding in the shoe to keep the toe in alignment. Taping to help draw the 1st metatarsal back in towards the second and correct any rotation and drop of the 1st metatarsal. Foam padding shaped like a donut to off load the pressure on the outside of the big toe. 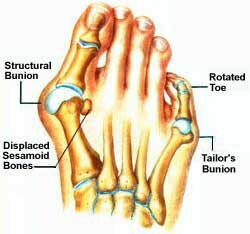 For more information and videos on how to manage bunions, please check out our special "Bye Bye Bunions" Injury Report. This PDF has everything you need to know about preventing and managing bunions, and includes videos and taping techniques to help you out. If you have purchased The Advanced Foot Control for Dancers program you will have access to this PDF for free in the members area.